"Just because it's short doesn't mean it's easy" should be emblazoned on the walls of every picturebook publisher. I do think in the 12 spread format+ 1, so 6-29, thugh smetimes finishing on 28. And I set the text out that way, with some illustration suggestions. But I've never made a dummy! Perhaps that means I am one? Sounds fun anyway. I might try it. Writing picture books is hard - thanks for reminding me. Good tip about square brackets for editorial notes. I can't stop saying verso and recto aloud now! I have another way of doing it (as I am a complete klutz with scissors and paper and glue), taught to me by an American editor--I have a normal A4 sheet printed with empty double box spreads. 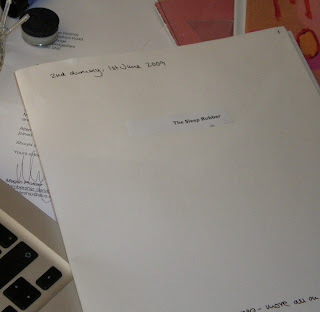 Taking into account such things as endpapers (will there be any and are they stuck down because that loses 2 pages? ), title, half title etc, I count out my 28/32 pager and work from that with the text to see how it flows, drawing stick figures or whatever as I go. I am no artist, but it doesn't matter--it's only a rough guide. There's also a very helpful book called 'Writing with Pictures' by Uri Schulevitz published in the US by Watson Guptill. Don't know if it's still available, but probably is on Abe Books or one of those. Thank you, Lucy - I should have mentioned the Schulevitz book, it's fantastic. Geared more toward illustrators, if I remember correctly - but still full of useful stuff. Following her diagram, the book usually starts on p6, as 4 and 5 are needed for title page and imprint info. Oh yes, Lucy, I do that sometimes but call it a storyboard. It's just so I remember how the pages will fall. Yes. Storyboard. That was the word. I am a dummy.